SEO, or search engine optimization, is the process of applying certain tweaks to your web content that improve its ranking in the search engine results, resulting in more free traffic to your offers. These tweaks are based on following accepted practices dictated by the search engine’s algorithm, or mathematical ranking formula. How closely you follow these practices determines how well your site or videos will rank. The sheer volume of updates to the ranking algorithm – some 600 per year for Google alone – makes SEO for the novice a challenging if not impossible task. For this reason alone, many businesses employ an SEO consulting company to help with their search marketing campaigns. What Services Do SEO Agencies Typically Provide? While SEO agencies tend to vary widely in style and basic approach, there are some similarities in the tasks required to execute a proper search marketing campaign. Depending on the size and organization of the agency, some of these tasks may be performed in-house while others are outsourced to independent specialists. Here’s a closer look at the most common tasks undertaken by the typical SEO agency. This is the first phase of the agency-client relationship and involves the immersion of key agency personnel in your business. 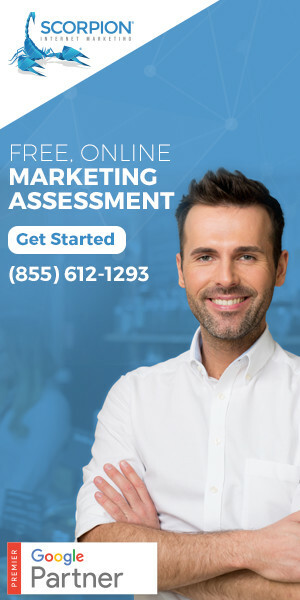 The agency is brought up to speed regarding your overall operation, products, marketing successes and failures, targeted customer profiles, and marketing objectives. Your website and conversion funnels will also be carefully examined during this phase. The better informed the agency is, the more on-track the recommendations it can make. Here your primary online search competitors will be examined – looking at the keywords each is targeting, how well they are ranking, and the quantity and quality of their inbound links. If you’re trying to rank for local search terms, the number and relevancy of relevant citations as well as online reviews will also be analyzed. The keywords currently driving traffic to your site will be examined, and a fresh search made for new keywords and long-tail keywords with the potential to drive additional traffic. Keyword recommendations will in part be based on estimated search volume and the competitiveness of each proposed keyword. High-quality relevant content is a critically important part of the SEO process. Your content strategy will take into consideration the make-up of your target prospect, current trending topics, and how well your present content is converting. Recommendations will also be made for expanding content formatting to include visuals, infographics, and video. Each of your current web pages will be analyzed and optimized for maximum search engine visibility. Special attention will be paid to title and meta tags, and keyword and image (alt tag) optimization. Schema markup will be added if needed, and your site load speed checked. Your inbound link protocol should follow Google’s best practice for link building – only links from niche-relevant authority sites should be considered. Links falling outside of these parameters will be added to a disavow file. Web page content should link internally to relevant pages on your site wherever possible for additional linking juice.